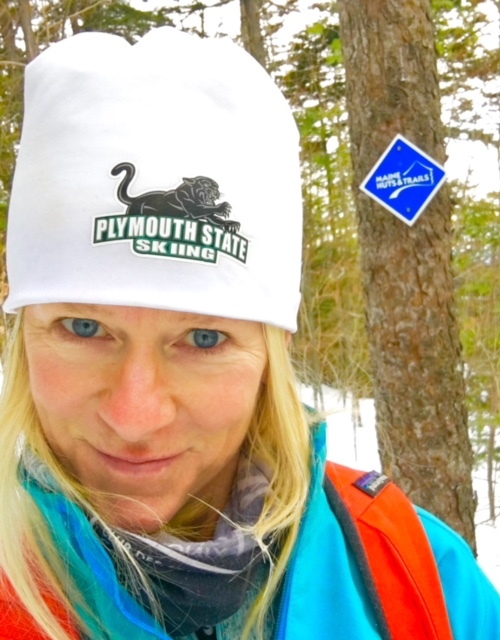 Join Registered Maine Guide, Lani Love, on a winter adventure on the Maine Huts & Trails. 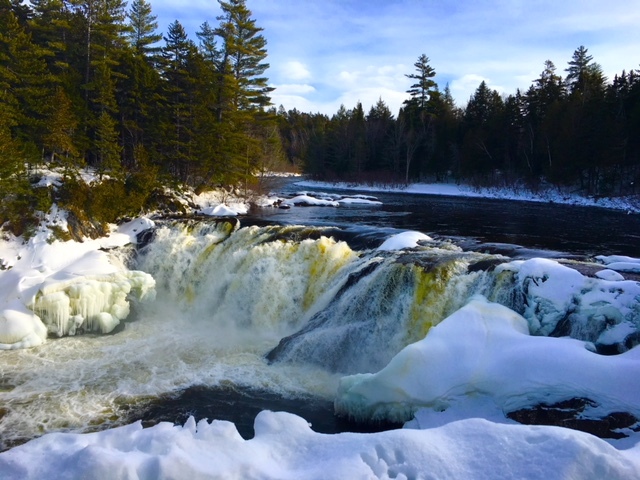 Cross county ski and snowshoe through beautiful wooded trails experiencing a diverse wilderness trail system located in the western mountains of Maine. 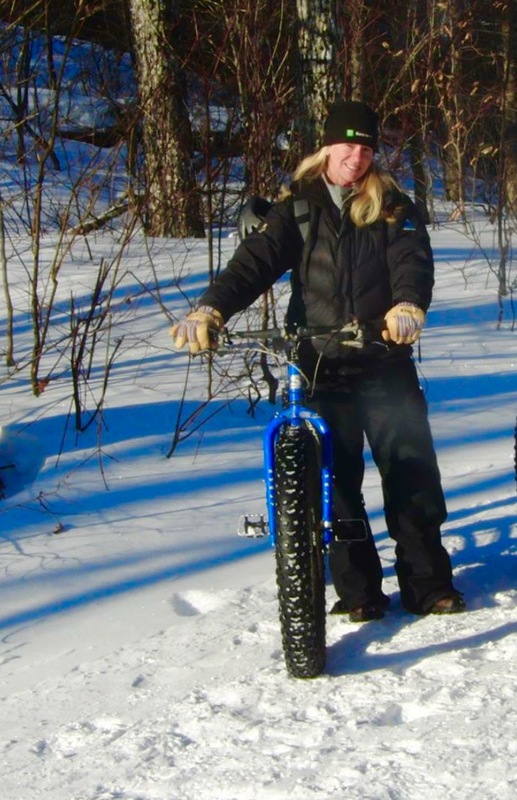 Lani has been guiding back country canoe/ski trips for over 30 years in Maine, she loves the outdoors and enjoys sharing her experience with others. Price includes everything you need for your adventure except your own skis or snowshoes, personal clothing, and other personal items. You will receive a packing list and other details upon signing up. Gear shuttle is an additional $50 per hut, per bag. Inquire about group rates. 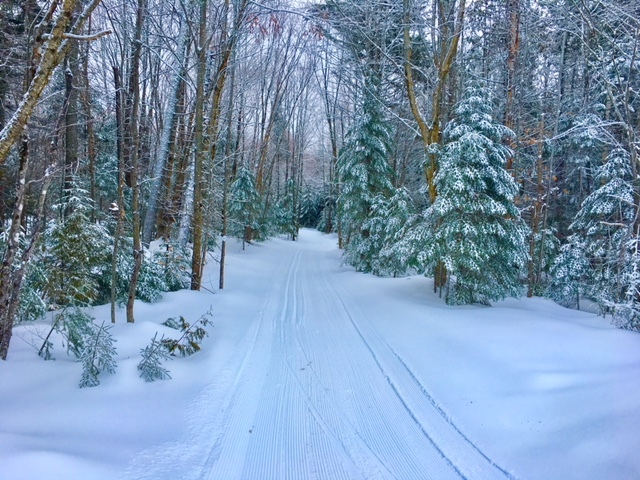 New Year's Eve 1-Hut Ski (2-Day/1-Night @ Poplar Hut) Ring in the new year with a cross country ski from the Carrabassett Valley airport trail head to a cozy over night stay at Poplar Hut. 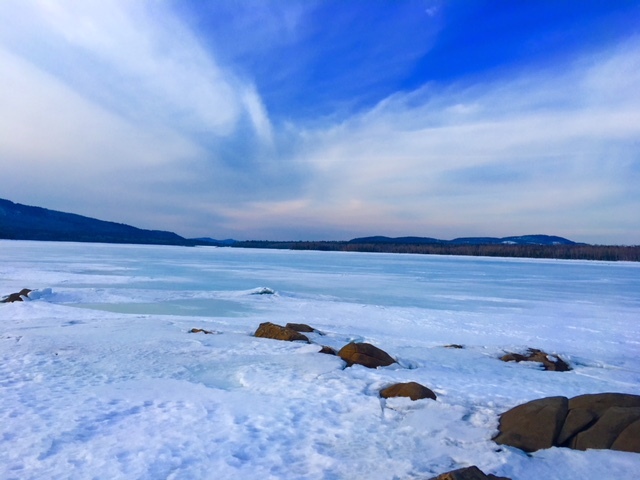 2-Hut "Back to Nature" Ski Adventure (3-Day/2-Night @ Poplar to Stratton Brook Huts) Burn off the holiday indulgence and stress with this Back to Nature adventure. This trip will be combined with our normal two hut adventure, but will include some additional core exercises with yoga. Learn to Ski (3-Day/2-Night @ Flagstaff Hut both nights) This adventure is great for the beginner to intermediate skier. The best way to learn how to cross country ski is to take a lesson or two from an instructor then practice your new skills. Full "Wolf" Moon Snowshoe (2-Day/1-Night @ Stratton Brook Hut) Snowshoe through the woods on a beautifully wild trail weaving through the forest on a full moon night! Ski & Snowshoe Grand Falls Exploration (3-Day/2-Night @ Grand Falls Hut both nights) Ski and snowshoe adventure around Grand Falls area. 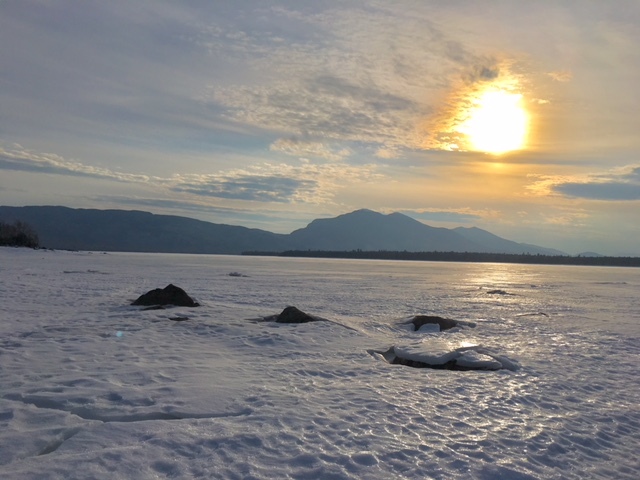 Women's-Only Ski Adventure (3-Day/2-Night @ Grand Falls to Flagstaff Huts) Join Lani for a ski adventure catered for women only. 2-Hut Guided Ski Adventure (3-Day/2-Night @ 2 Huts) Experience two huts over three days. 3-Hut Guided Ski Tour (4-Day/3-Night @ 3 Huts) Experience three huts over four days. 4-Hut Guided Ski Expedition (5-Day/4-Night @ 4 Huts) Experience four huts over five days.